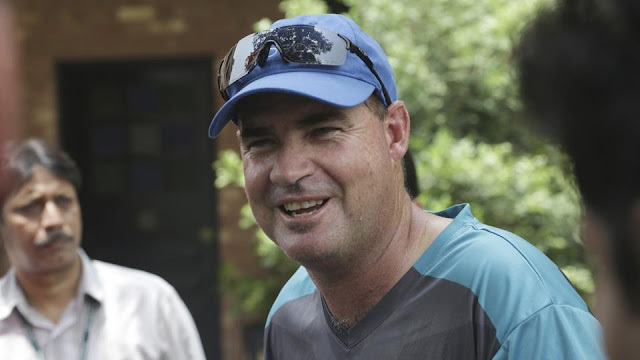 Mickey Arthur, who helped Pakistan to the ICC Champions Trophy title in 2017, has been given a contract extension until the 2019 World Cup in England. The Pakistan Cricket Board (PCB) has extended national team head coach Mickey Arthur’s contract till the 2019 World Cup. According to the Dawn, the PCB is satisfied with the performance of Arthur since he guided the Sarfraz Ahmed-led side to their maiden Champions Trophy title in England. Arthur, who had coached South Africa and Australia in the past, was initially contracted in May 2016 to serve up to two years. He also reportedly wants the contracts of the rest of the support staff to be extended so that the team could prepare well for the World Cup. It should be noted that batting coach Grant Flower has been associated with the team since 2014, while bowling coach Azhar Mahmood and fielding coach Steve Rixon were roped in the role soon after Arthur’s appointment.